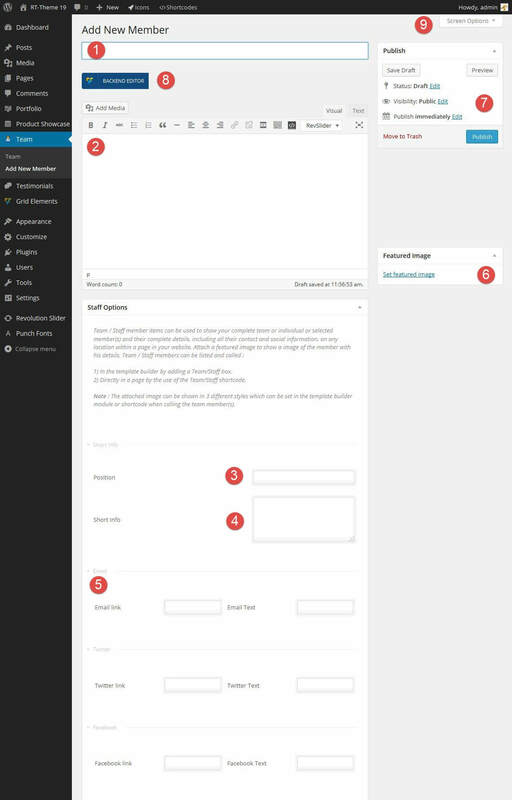 In the customizer the settings can be set globally for all the theme elements in pages and posts. In Rt-Theme19 the ability has been added to alter these global settings for a individual page or post. Each page or post has a section called “Design Options” with a lot of settings that can be changed for that page or post only. It gives one the ability to have a completely different look for one page or post as you can alter the background image for the body, left menu area or right side content area, a background color etc.